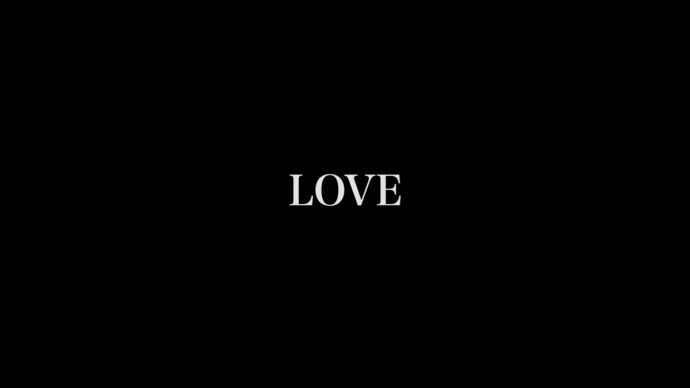 One of the basic tenets of The Avantgardistic State is love. Therefore we are delighted to bring a work that examines love’s relation to one of the key artforms, film. For further reading we recommend this feisty booklet. While much emphasis has been placed on the visual iconography of love, with the exception of music very little attention has been given to love as an aural, spoken phenomenon since the tradition and practice of amour courtois. In ‘Love Sounds’, artist Masha Tupitsyn researches the English speaking history of the talkies to meticulously unravel its relation to the politics of love. Masha Tupitsyn is a writer, critic and multi-media artist. She is the author of books like ‘Love Dog’ (2013), ‘LACONIA: 1,200 Tweets on Film’ (2011), ‘Like Someone in Love’ (2013), ‘Beauty Talk & Monsters’ (2007), and co-editor of the film anthology, ‘Life As We Show It’ (2009). 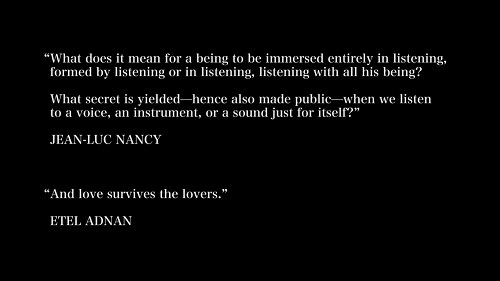 In 2015, she made Love Sounds, a 24-hour audio-essay and history of love in English-speaking cinema. In 2017, she completed the first installment–the 1970s–of her new durational film, DECADES, on the history of sound and score in cinema. She teaches film and literature at The New School.